First published in 2017 by Faber & Faber Ltd. Format: Kindle Edition. File Size: 431 KB. Print Length: 352 pages. ASIN:B01I0H2T0S. ISBN: 978-0-571-29728-3. First paragraph: It happens when she leans in to talk to her best friend. It is quick and practised and she doesn’t notice. Fifteen minutes later she starts to feel sick. The room wobbles. She almost falls off her stool. Her friend catches her just in time and wants to know what’s wrong. She tries to answer but discovers she no longer remembers how to use her mouth. Synopsis: When a distressed young woman arrives at their station claiming her friend has been abducted, and that the man threatened to come back and ‘claim her next’, Detectives Carrigan and Miller are thrust into a terrifying new world of stalking and obsession. Taking them from a Bayswater hostel, where backpackers and foreign students share dorms and failing dreams, to the emerging threat of online intimidation, hacking, and control, The Intrusions explores disturbing contemporary themes with dark psychology. Under scrutiny themselves, and with old foes and enmities re-surfacing, how long will Carrigan and Miller have to find out the truth behind what these two women have been subjected to? My take: Madison and Anna are two young backpackers who share a drink at a local pub when they suddenly start to feel awry without knowing what is happening to them, not even where they are. Only Madison returns to the hostel in Bayswater where they stay. Anna has disappeared without a trace. Two days later, Madison shows up at the local police station to report the abduction of her friend in a state of severe mental agitation, ostensible seems to be under the influence of some substance and, consequently, nobody is willing to pay her much attention. Except for DS Geneva Miller who, by chance, stumbled into her at the reception. Miller listens to her and believes her story, but fails to persuade DI Jack Carrigan to allow her to investigate the case further. Shortly after, DI Carrigan must examine the body of a young woman, found dead inside a house that was going to be demolished, and Madison’s story takes an unexpected turn. The victim is Anne, Madison’s friend, and now her story begins to have a certain verisimilitude. Frankly, I can’t explain myself why I waited so long to write a review of this book, a book that I certainly enjoyed reading. It’s the third in the Carrigan and Miller book series and you can find my reviews of the the first two instalments clicking on the book titles, A Dark Redemption and Eleven Days. The story unfolds shortly after the events narrated in the previous book in the series and Miller is still trying to recover from the sequels of the attack in the alley she suffered last year. Both main characters have problems of their own, however, what it seems to me more important to highlight is that The Intrusions can be read as a standalone book. The references to the private and professional life of both Carrigan and Miller don’t interfere at all with the development of the main plot. Apart from some brushstrokes, their lives will remain pretty much unchanged at the end of the story. In other words, their own conflicts will stay as they were at the beginning of the story. What, in my view, is highly positive. In essence, The Intrusions is a modern mixture of a thriller and a police procedural, intelligent and well-written, in which new technologies play an important role and whose reading is highly satisfactory. About the Author: Stav Sherez is the author of The Devil’s Playground (2004), which was described by James Sallis as ‘altogether extraordinary’, and was shortlisted for the CWA John Creasy Dagger Award; The Black Monastery (2009) described as spectacular’ by Laura Wilson in the Guardian; and two novels in the Carrigan and Miller series, A Dark Redemption (2012), a #1 Kindle bestseller, and Eleven Days (2013), both of which were shortlisted for the Theakstons Crime Novel of the Year Award. 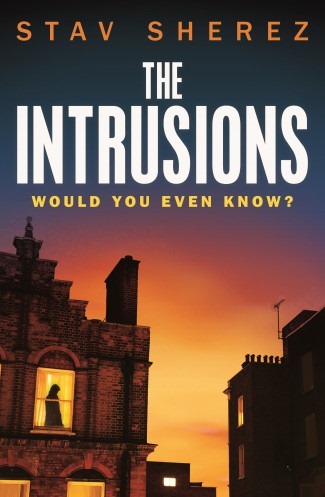 The third outing in the series, The Intrusions (2017) was recognised A Guardian and Sunday Times Book of the Year, 2017, and the winner of the 2018 Theakstone Old Peculier Crime Novel of the Year Award. You can find him on twitter @stavsherez. The Intrusions has been reviewed at Euro Crime, Crime Thriller Girl, acrimereadersblog, Crime Watch, Crime Fiction Lover, Shotsmag, Crime Time, The View from the Blue House, and damppebbles among others. Sinopsis: Cuando una joven angustiada llega a su comisaría afirmando que su amiga ha sido secuestrada, y que el hombre la amenazó con regresar ‘después a por ella’, los detectives Carrigan y Miller se ven inmersos en un aterrador nuevo mundo de acoso y de obsesión que les conducirá desde un albergue de Bayswater, donde mochileros y estudiantes extranjeros comparten dormitorios y sueños fallidos, hasta las amenazas nuevas de intimidación, piratería y control por Internet. The intrusions explora inquietantes temas contemporáneos de oscura psicología. Ellos mismos bajo vigilancia, y con antiguos enemigos y antagonismos resurgiendo ¿de cuánto tiempo dispondrán Carrigan y Miller para averiguar la verdad que se esconde detrás de lo que han sufrido estas dos mujeres? Mi opinión: Madison y Anna son dos jóvenes mochileras que comparten una bebida en un pub local cuando de repente comienzan a sentirse mal sin saber qué les está pasando, ni siquiera dónde están. Solo Madison regresa al albergue de Bayswater donde se alojan. Anna ha desaparecido sin dejar rastro. Dos días después, Madison se presenta en la estación local de policía para denunciar el secuestro de su amiga en un estado de grave agitación mental. Ostensible parece estar bajo la influencia de alguna sustancia y, en consecuencia, nadie está dispuesto a prestarle mucha atención. Excepto la sargento Geneva Miller quien, por casualidad, tropezó con ella en la recepción. Miller la escucha y cree su historia, pero no logra persuadir al inspector Jack Carrigan para que le permita investigar más a fondo el caso. Poco después, el inspector Carrigan debe examinar el cuerpo de una mujer joven, encontrada muerta dentro de una casa que iba a ser demolida, y la historia de Madison toma un giro inesperado. La víctima es Anne, la amiga de Madison, y ahora su historia comienza a tener cierta verosimilitud. “Orwell se equivocó al pensar que los gobiernos iban a tener que instalar aparatos para espiar la vida cotidiana de sus ciudadanos; ya lo hemos hecho por nuestra cuenta, alegre y voluntariamente y sin pensar en las consecuencias”. “Este es un mundo diferente a aquel del que tú y yo venimos. Las cosas cuyas consecuencias solíamos eludir, los atajos que solíamos tomar, simplemente ya no lo podemos hacer. Cada una de las acciones que tomamos es registrada y alamacenada para su posterior análisis. Cualquiera que no entienda esto no tiene cabida en el Met (policía metropolitana) de hoy”. “Si este fuera un mundo perfecto y tuviéramos cien veces más personal y mucho más dinero, podríamos hacer algo al respecto, pero este mundo ni siquiera está a medio camino de ser perfecto”. Es solo cuando se cruza una cierta línea que podemos informar a otras unidades”. Francamente, no puedo explicarme por qué esperé tanto tiempo para escribir una reseña de este libro, un libro que ciertamente disfruté leyendo. Es el tercero en la serie de libros de Carrigan y Miller y puede encontrar mis reseñas de las dos primeras entregas haciendo clic en los títulos de los libros, A Dark Redemption y Eleven Days. La historia se desarrolla poco después de los sucesos narrados en el libro anterior de la serie y Miller todavía está tratando de recuperarse de las secuelas del ataque en el callejón que sufrió el año pasado. Los dos personajes principales tienen problemas propios, sin embargo, lo que me parece más importante destacar es que The Intrusions se puede leer como un libro independiente. Las referencias a la vida privada y profesional de Carrigan y Miller no interfieren en absoluto con el desarrollo de la trama principal. Aparte de algunas pinceladas, sus vidas permanecerán prácticamente sin cambios al final de la historia. En otras palabras, sus propios conflictos se mantendrán como estaban al principio de la historia. Lo que, en mi opinión, es altamente positivo. En resumen, The Intrusions es una mezcla moderna de un thriller y un procedimiento policial, inteligente y bien escrito, en el que las nuevas tecnologías desempeñan un papel importante y cuya lectura es altamente satisfactoria. Sobre el autor: Stav Sherez es el autor de The Devil’s Playground (2004), que fue calificado por James Sallis como “totalmente extraordinario”, y fue seleccionado para el Premio CWA John Creasy Dagger; The Black Monastery (2009) calificado de espectacular por Laura Wilson en The Guardian; y dos novelas en la serie de Carrigan y Miller, A Dark Redemption (2012), uno de los Kindle más vendidos, y Eleven Days (2013), ambos seleccionados para el premio Theakstons Crime Novel of the Year Award. La tercera entrega de la serie, The Intrusions (2017) fue reconocida como A Guardian y Sunday Times Book of the Year, 2017, y ganadora del Premio 2018 Theakstone Old Peculier Crime Novel del año. Lo puedes encontrar en twitter @stavsherez. I’ve not heard of this author — thanks for the headsup! Sounds well worth a try. Assuming the book’s available over here, that is . . . I hope you’ll enjoy it, John! It’s difficult to understand in todays world why it can’t be available everywhere. Don’t know this writer but his books sound exciting. Do I need to read them in order? No need to Carol, but it would be a good idea.